A Tarrant County prosecutor says possession of CBD oil could mean jail time. Possession of these fruit-flavored, non-psychoactive gummies can land you in jail in Tarrant County. Photo by Edward Brown. 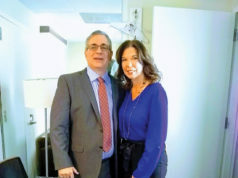 Shelly Hartman didn’t set out to be an advocate for CBD (the non-psychoactive medicinal compound derived from hemp), but like many local parents, doctors, and working professionals, she found that cannabidiol eased her lingering chronic pain. “I started using it for severe pain that I had been dealing with for two years,” she said. The stay-at-home mother and preacher’s wife found information about the health benefits of CBD while following the opening of a new wellness store, Thrive Apothecary, last fall. She was admittedly unsure about seeking the alternative treatment, but the pharmaceutical she had been prescribed was of little help, leaving her with the omnipresent threat of dangerous side effects — like bleeding of the stomach. After visiting Thrive Apothecary – a store near the Foundry District co-owned by Dr. Lisa Gardner and her husband, retired SWAT team leader Trey Phillips – Hartman took the doctor’s advice and began taking one CBD gummy every day. Last week, Hartman was shocked to learn that a young man had been recently arrested in Tarrant County for possession of CBD oil. 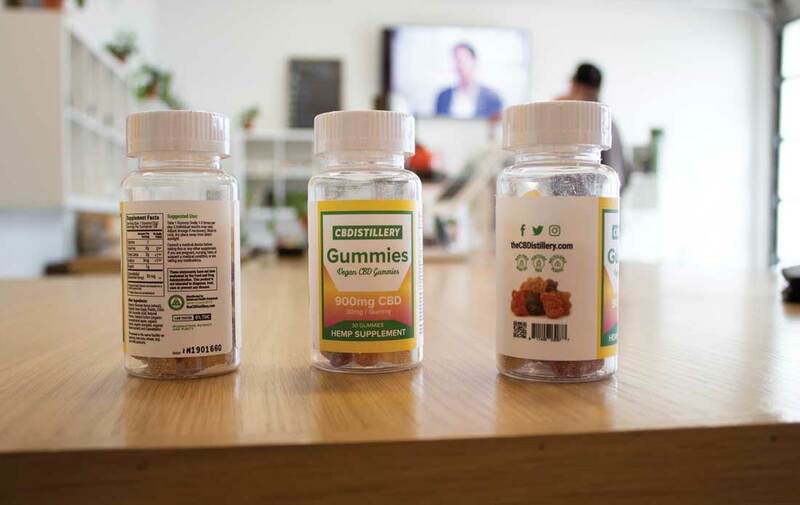 The story broke as part of an NBC 5 three-part investigative series that found that Tarrant County has taken an unusually strong stance against a popular product that is currently sold at several wellness stores across North Texas, including three in Fort Worth. 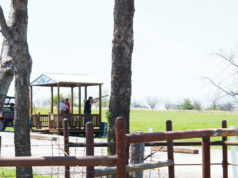 During the series, Tarrant County Criminal Division Chief Larry Moore said CBD is “absolutely not” legal in Texas unless the user has a prescription. In 2015, the Texas legislature passed the Texas Compassionate Use Act, which allows physicians to dispense low-THC cannabis to patients who had been diagnosed with intractable epilepsy. Several state bills have been filed over the past few years that would either decriminalize marijuana and CBD or legalize cannabis products for medical purposes. Last December, State Sen. Jose Menendez filed SB 90, which, if passed, would allow a greater number of Texans to access CBD oil under the Texas Compassionate Use Act. 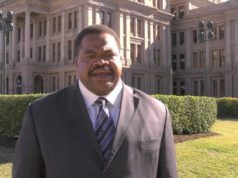 State Rep. Ron Reynolds filed HB 209, which would legalize marijuana to treat cancer, glaucoma, autism, and other chronic conditions. Similar bills have been filed in Texas with little success, but the sun may be shining on the CBD movement. Last summer, delegates at the convention of the Republican Party of Texas voted to approve a platform that endorses lowering possession of marijuana to a civil offense while allowing access to low-THC and THC-free cannabis medications like CBD. While Texas legislators wrangle over what to do with CBD oil, most of the country is moving forward with steps to normalize the manufacture and sale of CBD products. Last June, the U.S. Food and Drug Administration approved Epidiolex, a CBD oral solution that treats seizures associated with epilepsy, Dravet syndrome, and Lennox-Gastaut syndrome, according to the FDA. “This approval serves as a reminder that advancing sound development programs that properly evaluate active ingredients contained in marijuana can lead to important medical therapies,” the FDA said on its website. A total of 33 states (plus the District of Columbia, Guam, and Puerto Rico) have approved public medical cannabis programs, according to the National Conference on State Legislatures. For now, CBD is classified as a Schedule I drug on the Controlled Substances List, although many municipalities across the country no longer prosecute individuals for possession of CBD. The DA offices in Denton and Dallas counties told NBC 5 that they are not seeking to prosecute CBD-only cases. I asked Wilson if retail stores that sell CBD oil should be worried about raids by local law enforcement but did not hear back by press time. Thrive Apothecary’s Phillips said there is still confusion between CBD and TCH, the psychoactive ingredient that leaves pot smokers high. His store only sources CBD from industrial hemp, which is related but distinctly different from the marijuana favored by recreational drug users. In the days following Moore’s appearance on NBC 5, customers have flooded Thrive Apothecary, Phillips said, both as a sign of support for CBD products and as a way to store up on them if Tarrant County cracks down on the non-psychoactive product. The physical torment of not being able to comfortably walk until recently is still on Hartman’s mind. Her daughter, who was diagnosed with Lyme disease, is also undergoing CBD treatments, although her symptoms are “more complicated and yet to disappear,” Hartman said. CBD was the last resort, she said, but one that returned her quality of life. Education about CBD is important for clearing misconceptions about these products, she said. “There’s no potential for getting high” off CBD, she said. Through Facebook Live chats and personal conversations, Hartman is working to destigmatize CBD products. Her biggest fear, following Moore’s statements, isn’t being ticketed or arrested for possession of CBD gummies. It’s that she will have to return to living with chronic pain because she can no longer access CBD products. What a bunch of uneducated goobers. Texas will continue to be the laughing stock of the country due to this sort of misdirected, over-zealous treatment of a plant. The oil is from a plant, contains NO THC. Left reply.Will you not post it?